American conductor Lance Friedel has connections with several provincial orchestras, has appeared in Europe and is a winner of the Czech Music Workshop in Hradec Kralove. His approach to Bruckner's Fifth Symphony is direct, and Bruckner edition watchers will want to know that he uses the Nowak edition. 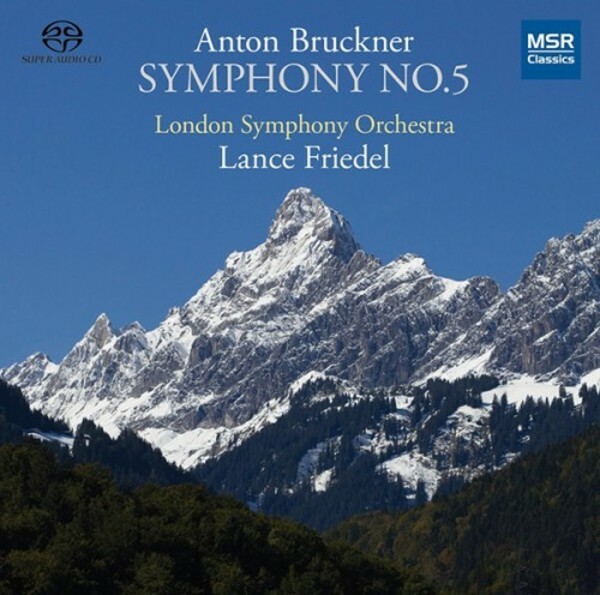 Recorded in the spaces of All Hallows' Church in Gospel Oak, London, the SACD Surround Sound presents the London Symphony Orchestra in all its Brucknerian glory. The Fifth according to Lance Friedel encompasses "a huge range of emotions: humor, awe, mystery, warmth, loneliness, boldness, tenderness and triumph." Surely enough for one symphony?